TOYOTA Racing follows up its dominant victory in Brazil with a visit to the Persian Gulf for the Six Hours of Bahrain, the sixth round of the FIA World Endurance Championship. 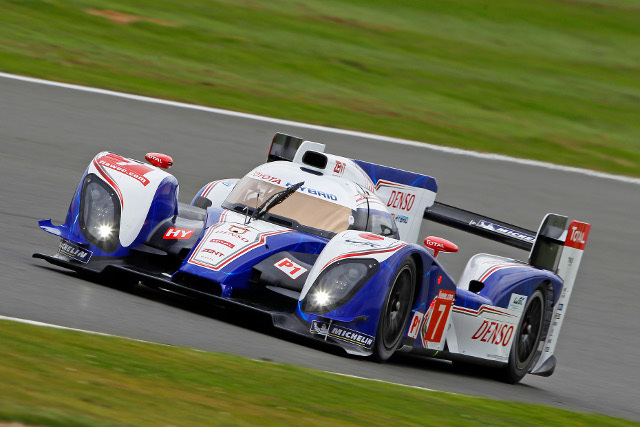 Earlier this month, Alex Wurz and Nicolas Lapierre won from pole position at Interlagos in just the third race for the TS030 HYBRID. The #7 car was transported to Bahrain directly after the Sao Paulo race. With Kazuki Nakajima on Super GT duty in Japan this weekend, Alex and Nico again share the #7 car in the desert heat of Bahrain, on a track familiar to both drivers and the TOYOTA Racing team. The event marks the first time LMP1 cars have competed at the Bahrain International Circuit, the 5.412km track south of the capital Manama which was completed in 2004. Following the impressive demonstration of its performance in Sao Paulo, the TOYOTA HYBRID System - Racing will have seven designated hybrid braking zones in Bahrain where energy can be recovered for a 300hp power boost later. Action begins on Thursday 27 September with two 90-minute practice sessions (16.00 and 20.30 local time). Third practice is on Friday (10.50-11.50) before qualifying for LMP1 and LMP2 cars (16.30-16.50). Following warm-up on Saturday (12.25-12.45) the six-hour race begins at 16.00 with a rolling start.